This fun, fact and fundas book from DC Mangobooks is a treasure waiting to be discovered. 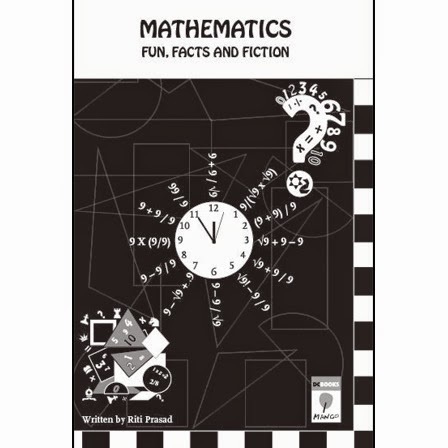 Through stories, the author illustrates daily application of basic and complex concepts in Maths. From counting to factorials, from weight to Fibonacci patterns and much more, maths enriches our lives and these tales remind, highlight and showcase the concepts. Extensively researched, written in a lucid way with puzzles to reinforce what one has read, the book travels across the world as the stories are sourced from various cultures and countries. Age recommendation is five plus for a couple of stories and for older kids and adults for the others. ST- How and why did you zero in on Maths as the focus on your book? RP- I love maths and I love English and I love stories so this seemed like a potent combination. 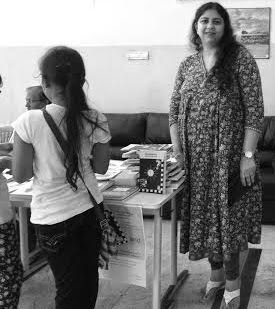 Besides that I wanted to write a meaningful book which has an element of learning and thinking laterally for children who read them. I wanted the parents to experience the joy of reading a book that teaches concepts in a non traditional manner. It is said that if you have a great story to tell, then people will remember you better- the same goes with mathematical concepts. Narrate the story and the concept understanding will follow. ST- Did you know all these stories earlier? How did you choose which ones to keep? RP-Most of these are available material. I did a lot of search both on Internet and from my memory to pull out stuff that would relate to the concept. ST- Did the stories come first or the maths principle you were highlighting? RP- It worked both ways. But more often, I decided upon the topics that I wanted to cover and then tried to recall the stories. The stories were reinvented & retold keeping the original flavour intact. For the Fibonacci story I did a lot of research on how rabbit farms are run and what challenges come up for the farmer including the fact that some rabbits may be eaten up by predators or may just escape from the hutch. Or when they get overpopulated you need to build multiple levels in the hutch etc. or backward integration by growing the rabbit feed and even selling some of it to when in excess. So my focus was to cover as many concepts as possible and treat the book like a discovery or a journey. ST- How do you think the book can be best used ? RP- You discover a new concept each time you re read it or as you grow with it. Also a child of 8 may not follow all stories and concepts at once but understand it over the years. Or may be just treat it like a very good story and worry about understanding the concept later as they grow older. So in a way the book grows with your child. 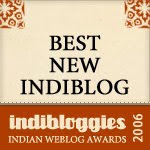 Kudos to Mango Books and team ! You can view a sample page of the book here. Sounds wonderful. Looking out for this book. Thanks, Art! Loved the book. An awe-inspiring set of stories, Riti. You have so wonderfully shown stories are such powerful teaching tools. I am sure Math teachers everywhere will love this. Please keep us posted on any book readings and sessions you do in Chennai. Wishing you the very best with the promotions.